This bride sent her white shoes to Europe to be handpainted with her and her fiancé's names and fairy tale quotes. She wore a tea length wedding dress so these fantastic shoes could really be seen!! 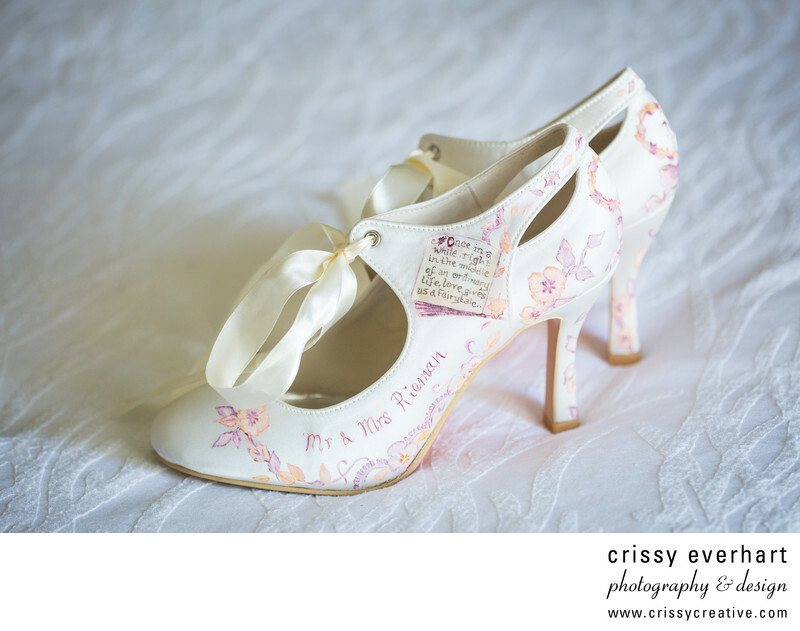 These bridal shoes are simple white heels with a tie closure, but the bride sent them to Claire Jones of Beautiful Moments UK to hand paint lace designs to echo the patterns in her veil, the couple's names and wedding date, and fairy tale quotes. Definitely the most unique shoes I have ever photographed!